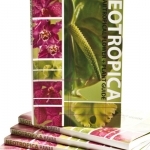 Floral.today does realize that there are so many amazing floral design books that inspire and teach out there but these are our top 3 educational book picks of right now in no particular order. 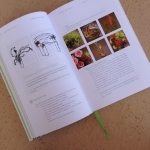 What floral books have helped teach you and lead you to be a better designer? 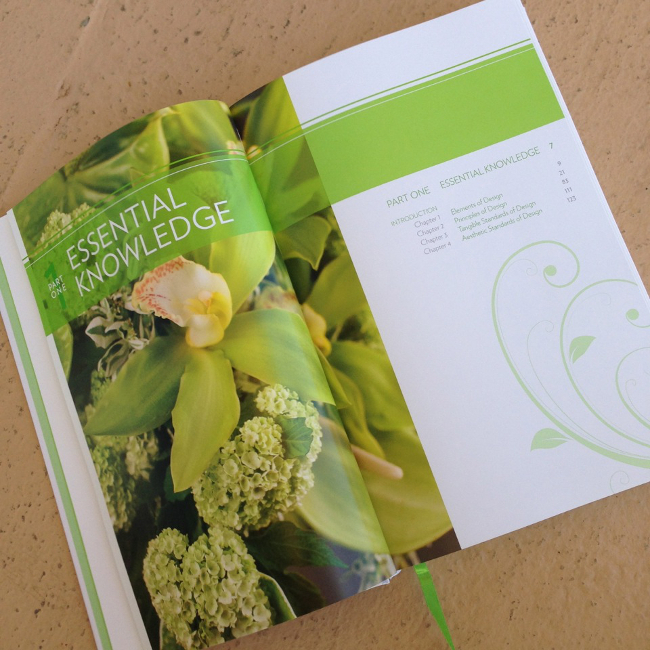 Share with us in the comments Below your top 3 favorite floral book for Floral Education Month! 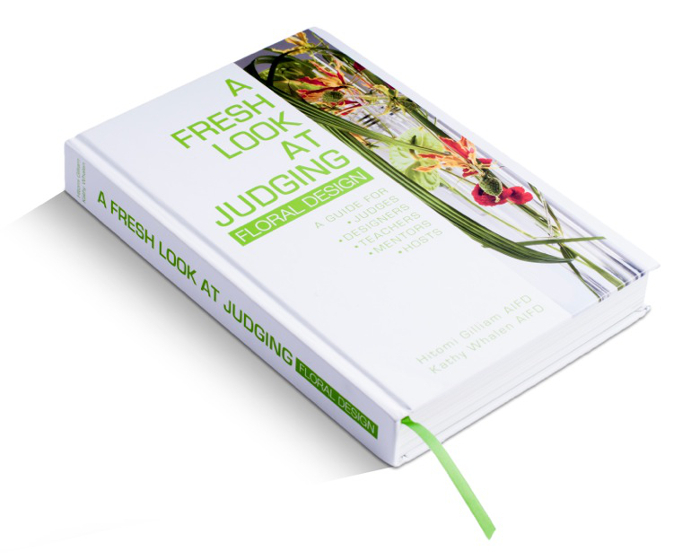 WHAT KIND OF BOOK IS THE BOOK IS A Fresh Look At Judging Floral Design, A Guide for Judges, Designers, Teachers, Mentors and Host? A Fresh Look At Judging Floral Design is a book that fills a void in publishing on the topic of floral design and judging. It’s been 50 + years since a new work solely dedicated to design and judging design has been published in the United States. The book is a reference book that has many “workbook-like” features, and thus is unique. Many around the globe are also using it as a textbook. 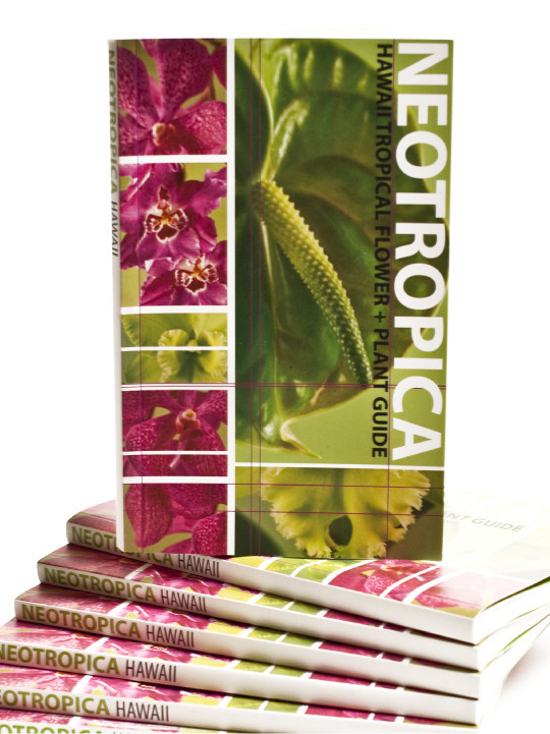 “The softback is illustrated with four-color photos taken on location in Hawaii and offers valuable info on product nomenclature, availability and seasonality.With a pictorial catalog format, the guide is organized into “cut” and “plant” products and by commodity groups. What books inspire you or have helped make you a better floral designer? 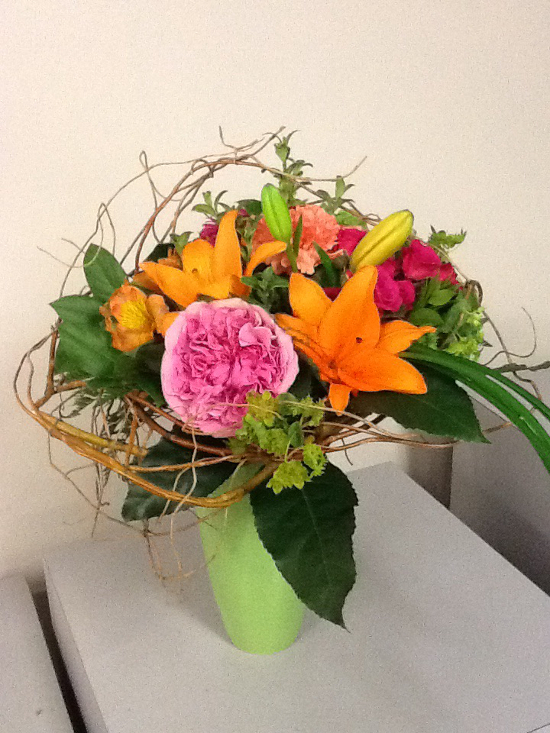 Share with us below in the comments or on our Floral.today social media! 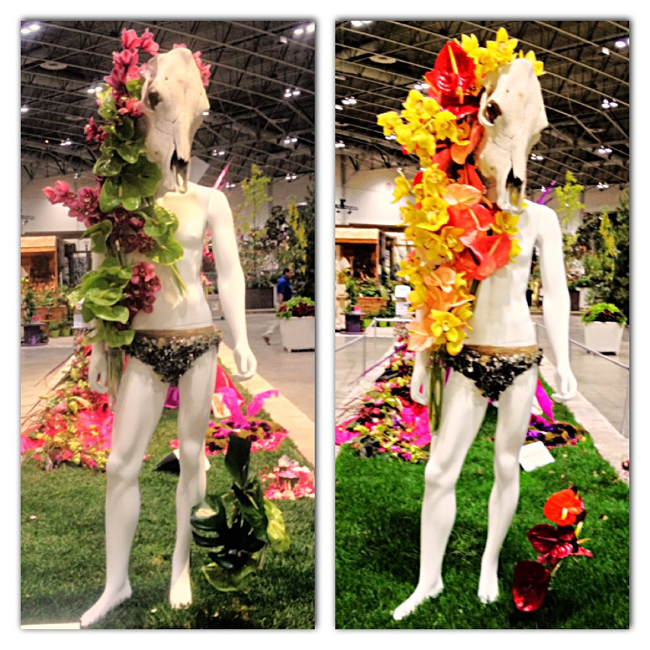 Floral.today is always interested to see the next big thing or trend and SCHAFFER DESIGNS team is never far from the action. 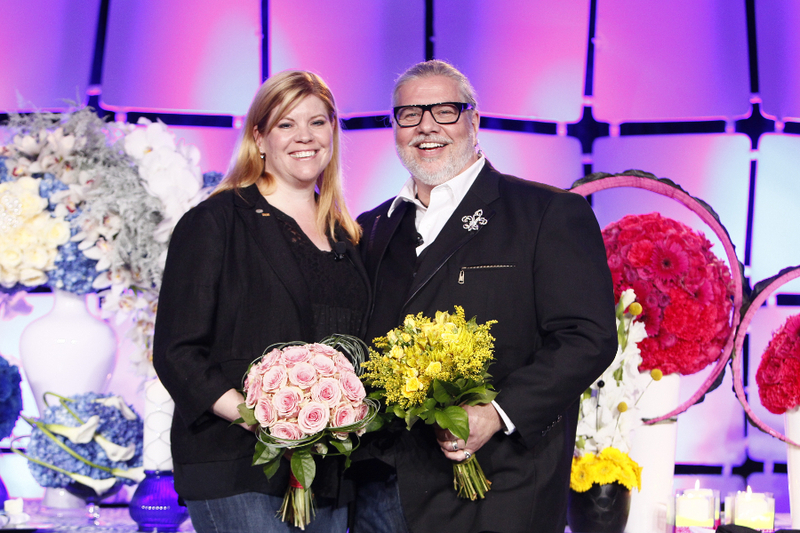 Bill Schaffer AIFD, AAF, PFCI and Kristine Kratt AIFD, PFCI have been at the helm of the 2013, 2014 and 2015 Floral Trend Forecast for the International Floral Distributors Group, multi-awards winning Philadelphia Flower Show winners along with a long list of other amazing achievements and accolades. 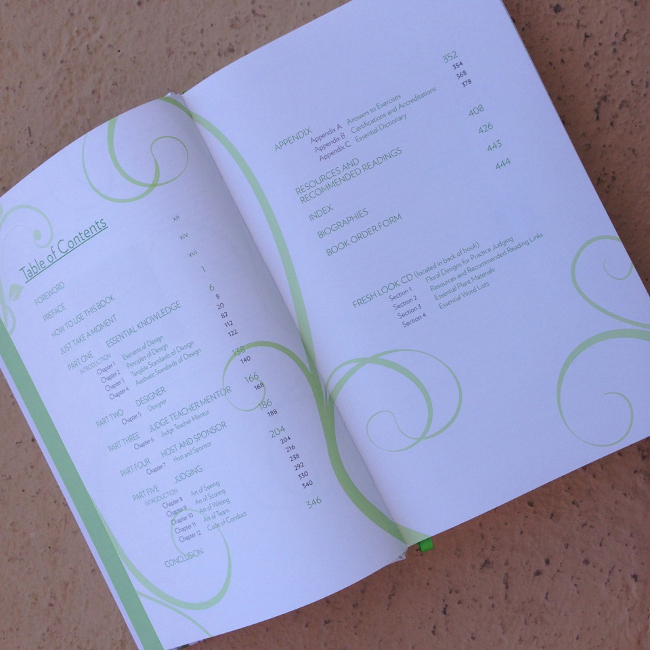 When we asked for a break down of their business to Floral.today and our viewers, here’s what they had to say. 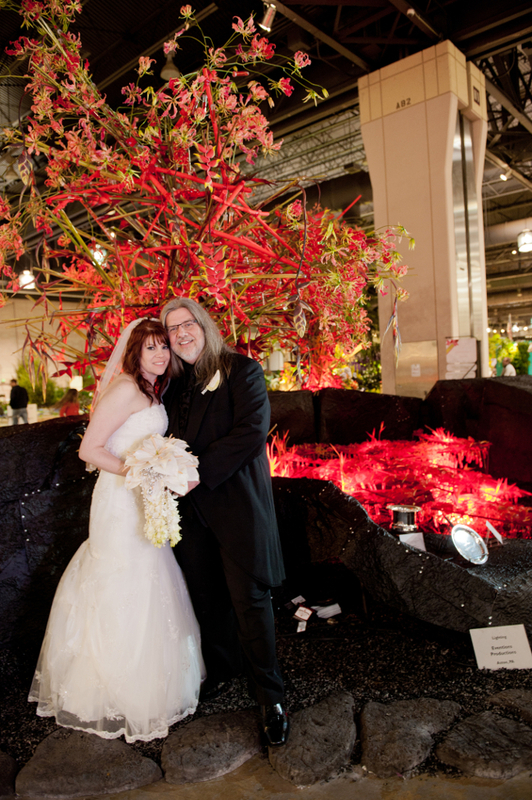 MEANT TO BE Flowers and fate led to Bill Schaffer and Kristine Kratt’s first meeting in 2005, and they have been taking the flower world by storm ever since. 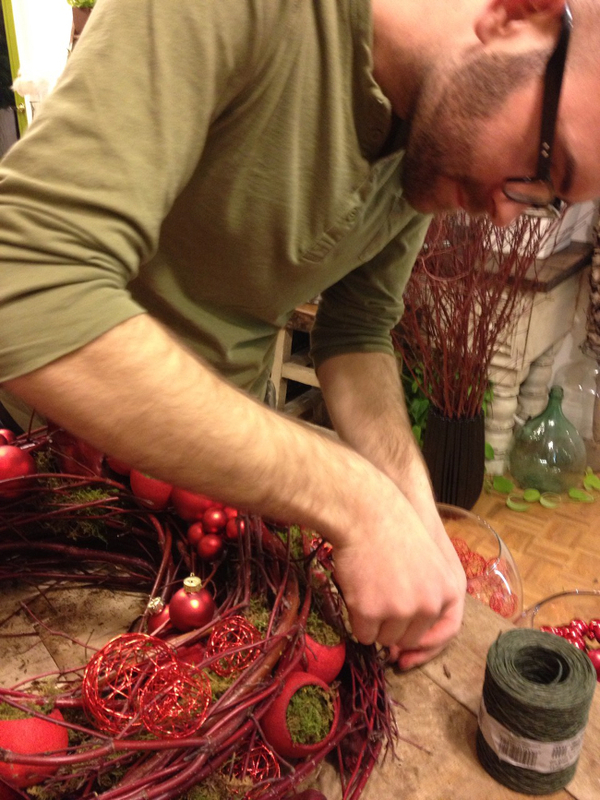 A 3rd generation floral designer; Bill literally grew up in the floral industry. 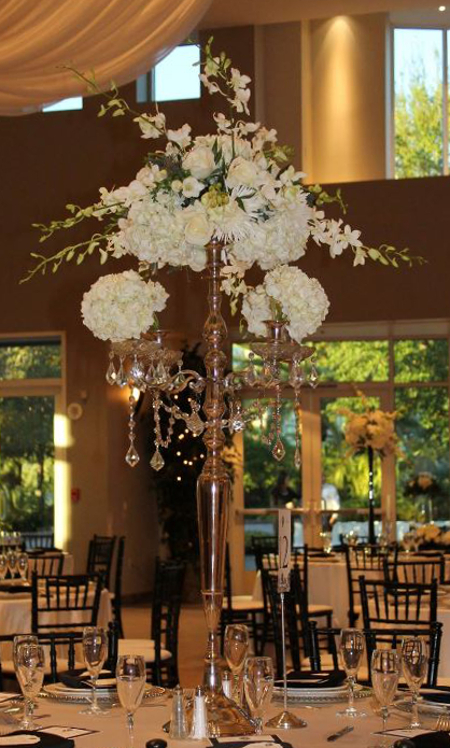 From sweeping floors to delivering and designing flowers after school, being a part of the family business instilled in him a lifelong passion for flowers and floral design. 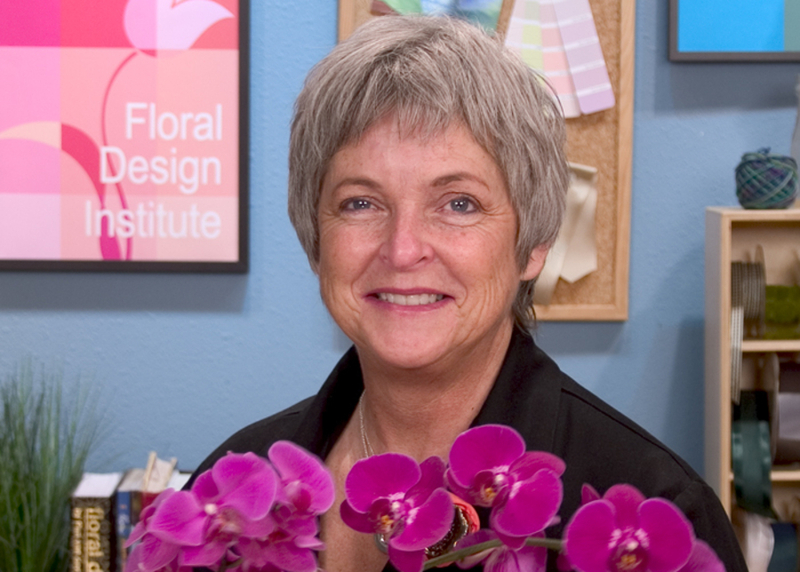 Kris cultivated her floral career as a teenager, managing a retail flower shop in the San Francisco Bay Area, and graduated from the Floriculture program at the College of San Mateo. ON THE EDGE As can be seen from their Award-Winning, Gold Medal, Best-in-Show exhibits at the Philadelphia Flower Show, Bill and Kris’ work demonstrates both ability to combine their creative vision and technical skills to break out of age-old flower stereotypes to bring flower enthusiasts exquisite, and, at times, unexpected floral creations that tantalize the eye and infuse the public’s view of flowers with new energy. 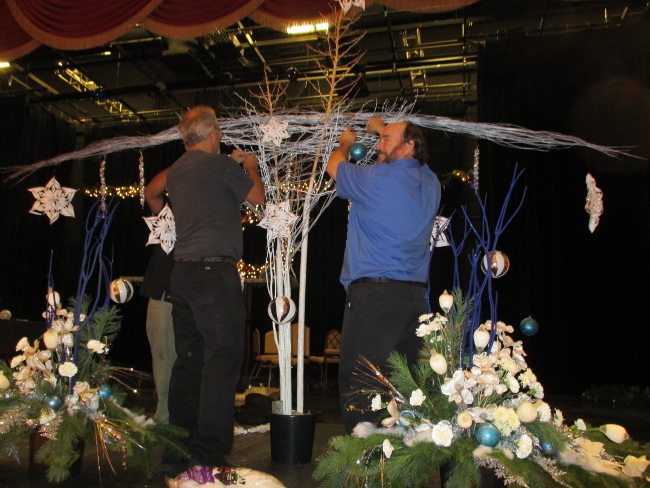 FULL CIRCLE Bill and Kris continually strive to further their personal design knowledge via channels both within and outside of the floral industry. 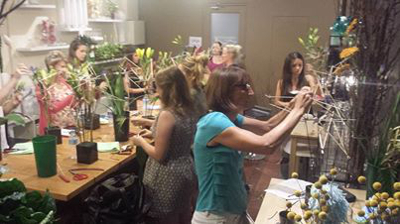 They have become diverse contributors within the floral industry, specializing in event design, floral art installations, design shows, and workshops, as well as extending into merchandising, showroom installations, and overseas product development and national and international design publications. In addition to numerous solo presentations, this cutting-edge couple has been seen presenting together at numerous conferences across the U.S.
SPECIAL PROJECTS Bill and Kris are the owners of Schaffer Designs and creators of multiple award-winning exhibits at the Philadelphia Flower Show, including Best-In-Show and Gold Medalists for 2007, 2011-2015. 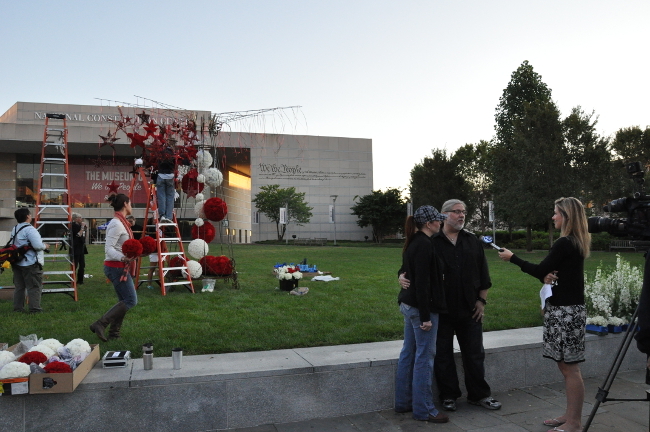 They have been selected as the 2013-2016 Floral Trend Forecast Directors for the International Floral Distributors Group, and are the creators of PAFA IN BLOOM; an international floral art project with The Pennsylvania Academy of Fine Arts. 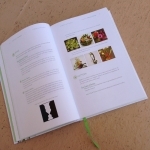 They are first time authors of their book: Taking The Flower Show Home. When not traveling, they reside in Philadelphia, PA with their pug; Betty Pancake. 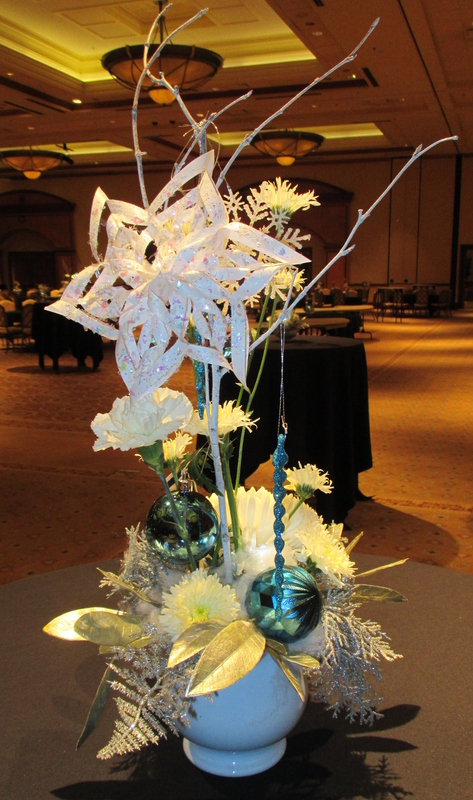 DESIGN ON THE EDGE was the program that we presented at the 2014, 100th Anniversary of the Texas State Floral Associations Convention. It was an introspective, first-hand account on the growth of design from within. It was based on how an individual’s life environments and experiences directly affect the reality of the work that they produce. 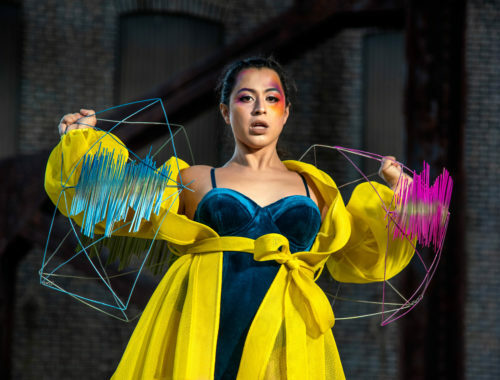 It was a detailed retrospective of each of our individual styles and how when 2 artists, with different backgrounds, work in harmony with each other: the unity of their experience can pour forth in a new form of design. Without giving away all your secrets, where do you go to educate yourself about trends and staying ahead of the times? Trends come from all around us. On a local and regional level it is about keeping your eyes open and your objectivity in check. Look around you: Neon Sneakers, bold and graphic patterns, blue everywhere. We live in a global economy and it has fallen to that vision to understand that trends are everywhere and of what we decide they should be. From the traditional European and Asian floral design magazines through Architectural Digest, Wallpaper, Print, 3D Artist, Azure, Aesthetica, InDesign and so many more to our latest craze of Pinterest, Facebook and Instagram. The fashion runways and paint companies and car companies are forever showing us colors. In the end – are there specific trends to follow in order to ‘stay ahead of the times?’ – some – but it is often your inner creativity mixing the massive amount of input from the world around us that will allow the creative mind to see the combinations of color, texture and pattern that will set the tone for others to follow. 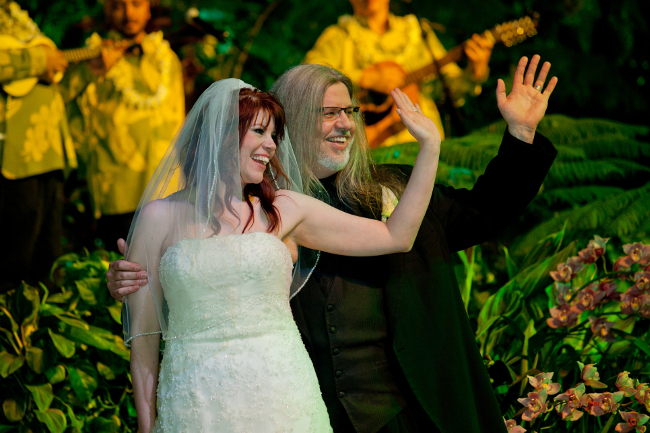 This is really what it’s all about – isn’t it? 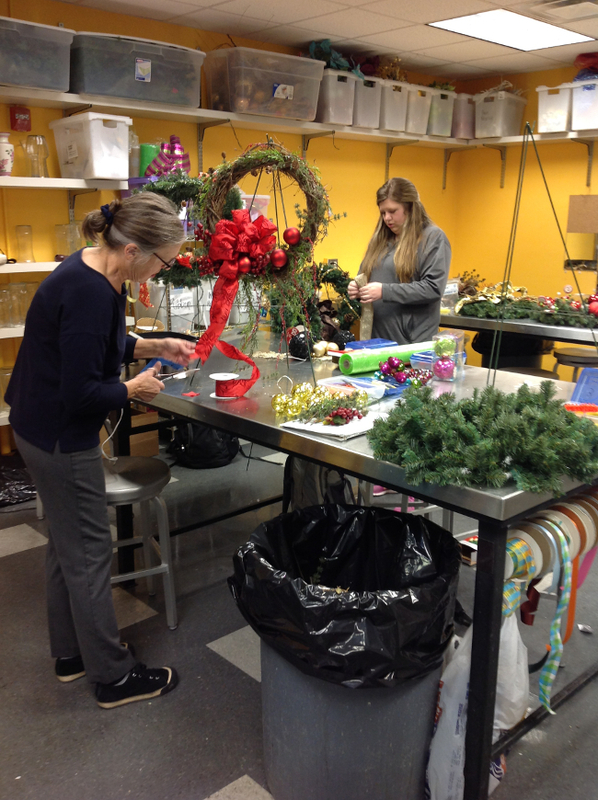 A couple of floral educators espousing their belief system. 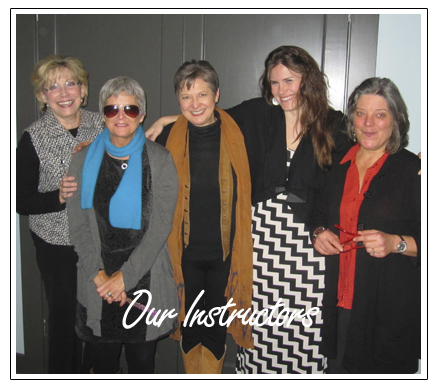 What we can truly say is that our educational values and goals for those under our tutelage is ever-evolving. Even for those not under our direct contact but for those that we have the opportunity to connect with through presentations and social media – the single most predominant answer is enthusiasm. To be energetic in your beliefs about what you are doing. To be knowledgeable in traditional stylings blended and standing alone with current and future trend forecasts. 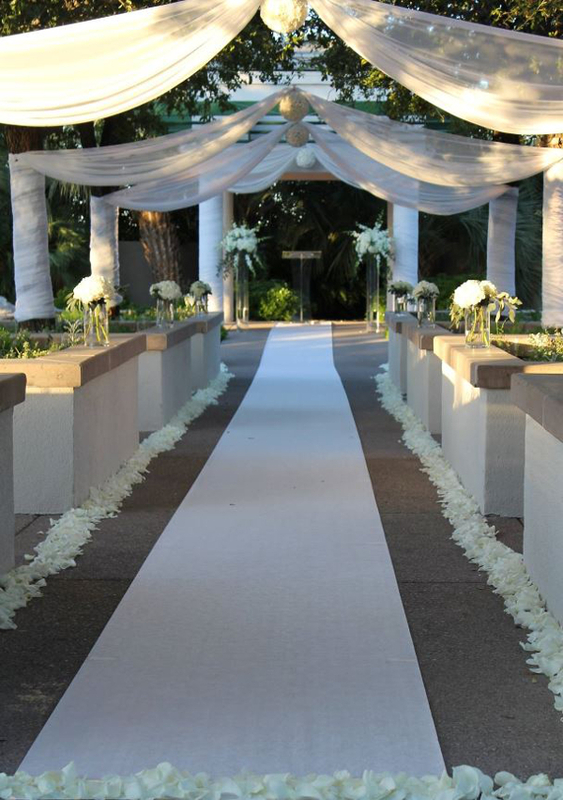 To enter into a pact with your audience through honesty and a personal commitment to continue in your own growth is the constant that each of us endeavor to commit to in every aspect of our floral education process. RUN!!! RUN FLORIST, RUN!!! Oh, your serious! LOL!!! 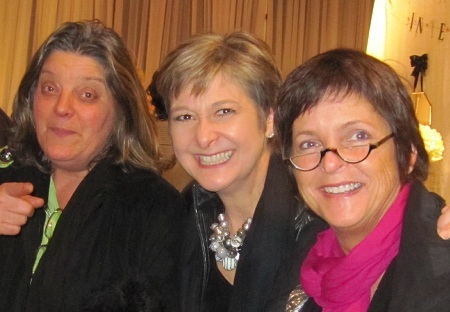 When we look at teachers in our lives, family and friends who are teachers – there seems to be a connecting thread ~ heartbreak mixed with love and the opportunity to mold those who truly want to learn makes their job a vocation. 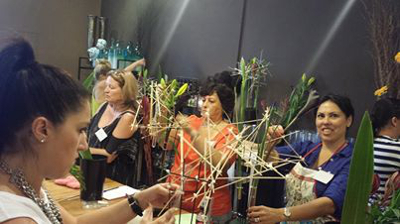 As an Educator or Presenter in the floral industry you need to embrace that the people who are there to hear you and see what you produce have taken the extra step of deciding to be there. To spend their hard-earned income; to be a part of an opportunity that they are looking to you to help them fulfill requires your own successful education. Do not tread lightly onto this path. Tread heavily with honesty, knowledge, experience, education, commitment and enthusiasm – because in your voice is the power to make or break someone’s beliefs. Never be dishonest or guess in your opinions or answers to their queries. Be forthright – this is not an easy profession. It is fraught with anxiety, competition and difficult daily dealings. Yelp! Alone – can send someone over the edge. It is about finding who you are and helping others to find their strengths. Never be egotistical – always be sincere. 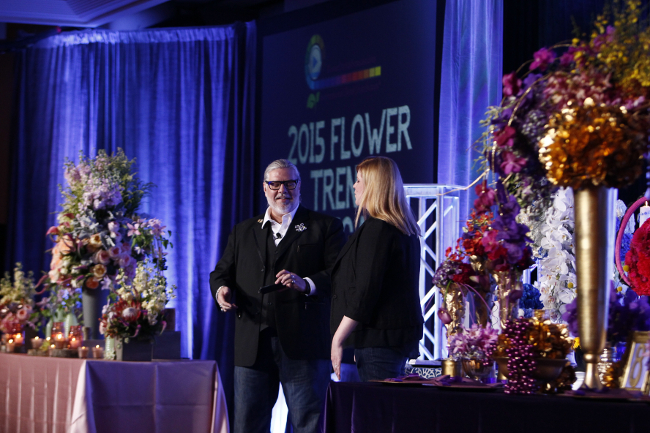 With our ever-changing industry, what are some of the biggest floral education changes that have happened in the last 10-15 years? AWARENESS through the internet. The simple opportunity to find others of like mind and style or of a quality of design and style that you strive to achieve is endless. To discover learning environments through keyword searches and reviews truly are some of the ways the industry has progressed. The old school camaraderies – found in presentations with 200-300 people at every local event – has been replaced by individuals with serious attitudes looking to advance their professionalism through design. It is up to true designers to consistently post images of quality, strong P&E designs that will elevate the field not only for those seeking to learn about design, but will also educate the everyday consumer. The internet is also a consumer and design curse as the continuation of ‘bad’ ‘arrangements’ are forever displayed with words of wild enthusiasm from those posting. This is an all-encompassing good vs. evil outlet that each individual needs to explore through their personal connections and serious research about the individuals and companies that they are following. In the end – the rewards are worth the time and energy put into it. 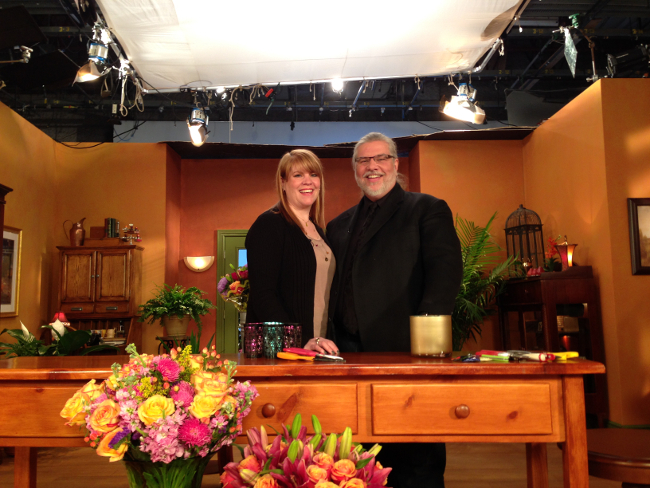 How has being on a husband/wife team helped with your floral education success? By inspiring each other we can better inspire others. Working together – we find we constantly challenge each other’s skills, ideas and creativity. We are able to push each other without inner-tension because we both realize that the love we have for one another and our craft supersedes commentary. The scientific research of proper Care and Handling. 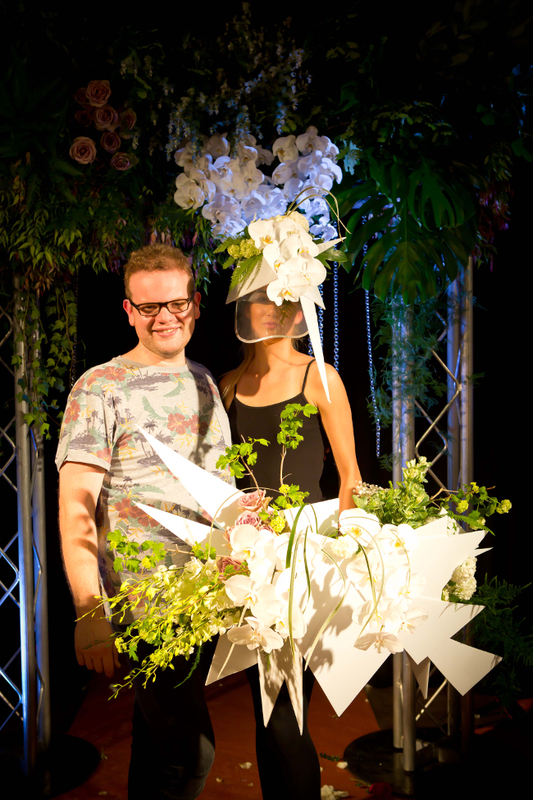 The social media awareness of floral ‘ideas’. Being able to share content and ‘how-to’s’ with each other is the #1 advancement of our times. 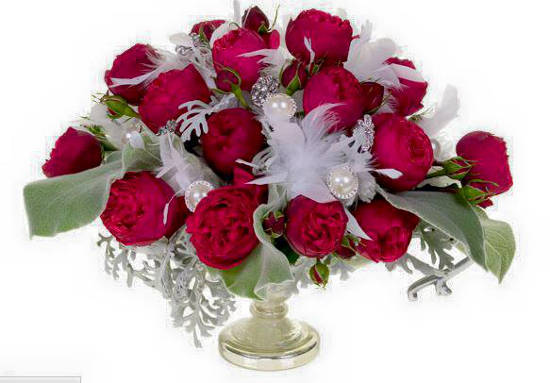 As for tools to enhance that education: the advancement of floral life expectancy through floral foam and it’s many sizes and shapes has been key to the creative mind’s ability to place flowers where, heretofore, could not be achieved. 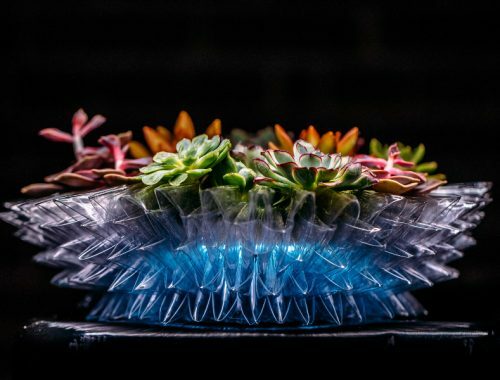 From zipties, to colored floral foam – from a myriad of water ‘tube’ options to products like yarn, wire, and numerous other textiles have aided in the creation of strong, clean mechanics that actually enhance a design. 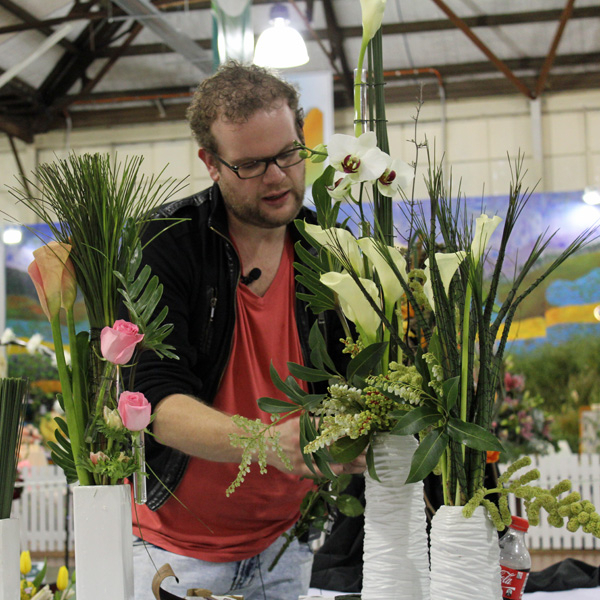 What countries do you think offer the best floral education? Quality education can be found everywhere when looked for. As a single country ~ We have not studied enough in every floral-heightened awareness country of the world to be a true judge of it. When looking at the international postings and magazines, countries throughout Europe to Down Under and back up to Russia and China to the many Island countries of Asia can true inspiration be found. 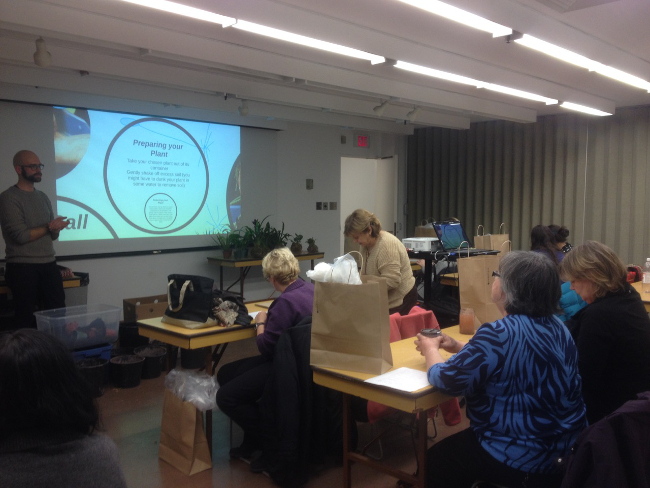 Our own backyard of the United States has a wealth of rewarding floral educational opportunities. 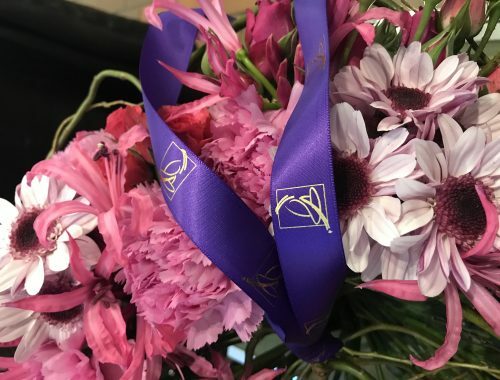 In this ever-shrinking world: it is the amalgamation of talented educators worldwide that should be the source for expanding floral knowledge. What opportunities do think are a must that designers should take part in to help advance themselves? To Advance oneself is to move forward. We have already discussed the various educational opportunities that can be found so what’s left is your career. Who do you want to be when you grow up?! Advance toward that. If you wish to be successful – educate and continue to educate yourself. You must also begin the networking process of your profession. Local, Regional and National Meetings/Conventions/Symposiums – wherever you can meet people and exchange ideas about what it is you do and how what you do can be of benefit to another. Learn to be your own SEO or hire one if you are able. Keep putting yourself out there. …and … for goodness sake buy a hi-res camera and take professional looking pictures on professional backdrops or everything else you have strived to achieve may never come to fruition if you cannot properly show what you can do. 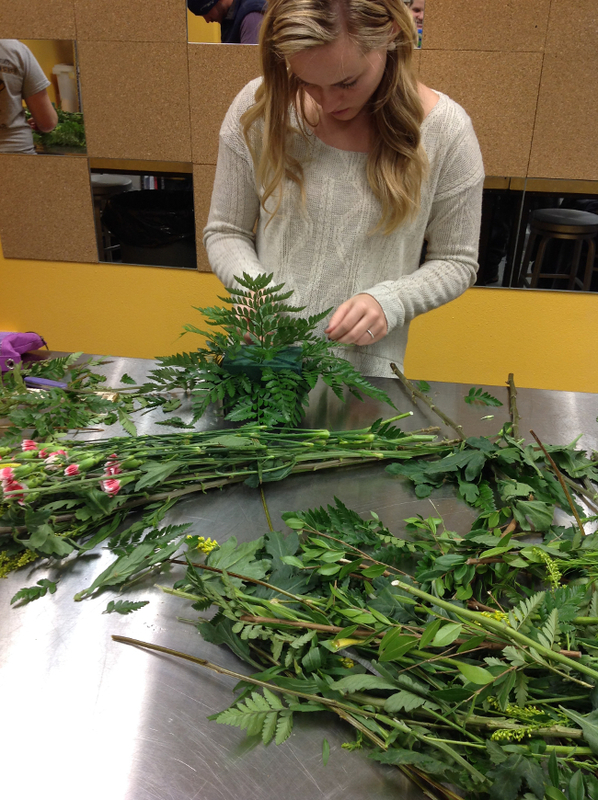 No standardized floral design curriculum in today’s colleges are offered across the United States. 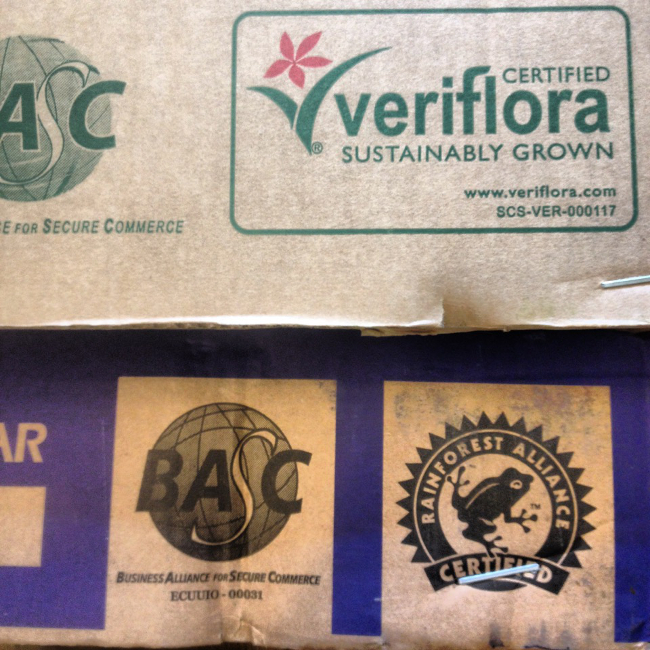 Each individual State Floral Association has their own requirements to reach certification. 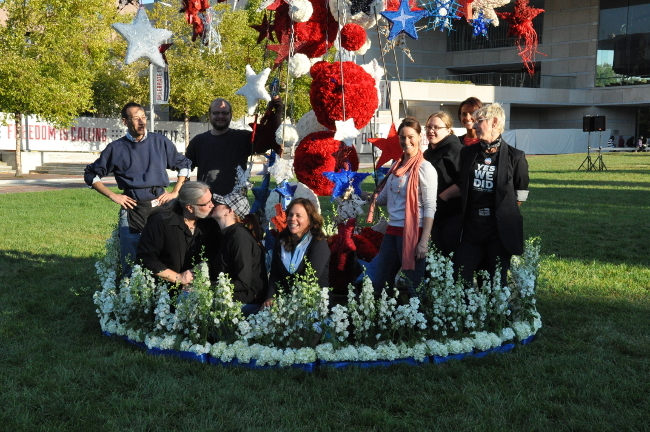 Challenge; not every one of our 50 states has a floral association. The major obstacle is that the people mediating these approvals are not always qualified to be doing so. The majority are well-intentioned individuals, but who may not necessarily be properly/formally educated themselves. Today, an average design presentation, whether offered with a small charge or even with no charge – is poorly attended. A count of 50 people is now considered a success. In focusing on any one region of the United States you may find that there are 3-4 design presentations per year – each lasting no more than 2-3 hours. 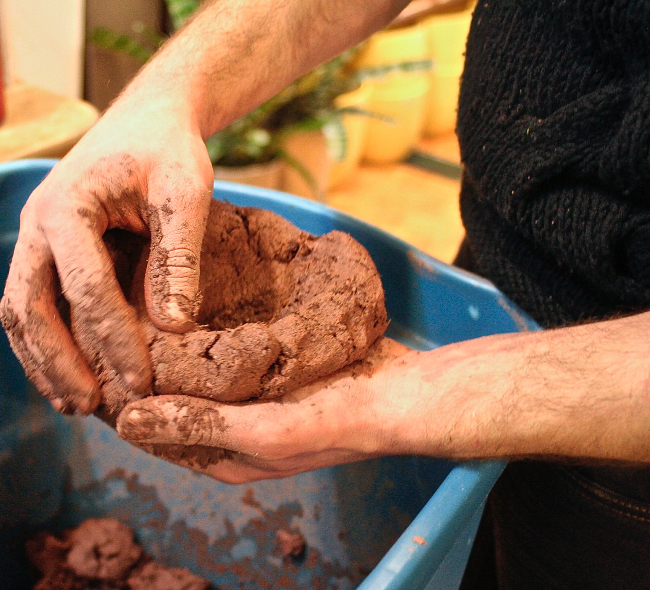 Those that have a hands-on workshop attached to them are even less – usually no more than 1 or 2 per year and consisting of a one-day or half-day study. For those with the financial fortitude and free time, they can be involved in continuing educational studies through these programs year-round. Even with the shrinking numbers of design seminars, workshops and demonstrations – there are many ways to feed your appetite for learning. Weeding through the internet glut may be tedious but it can also unveil numerous quality floral educational videos and photographs. There are private schools of study in the United States that offer one, two, three week study programs and more. The lack of a standardized educational studies program is the drawback. 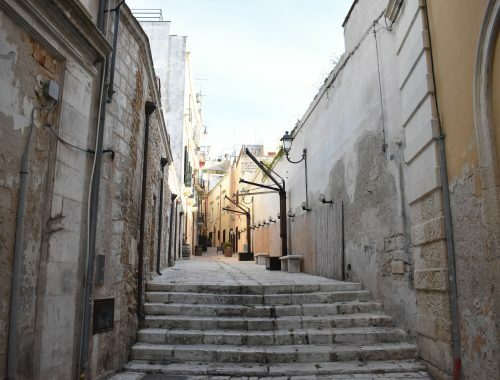 For those who seek to follow this road they are often met with repetitive studies in dealing with instructors whose skill level is greatly differentiated from one program to the next. The difficulty is not in the financial commitment to the actual program itself but in the additional costs necessary for transportation, accommodations and time-off from their source of income as they try to earn and learn at the same time. In order to educate the consumer we must first accept the complexity of regional aesthetics to proceed. In just considering that the United States is 2.5 times the size of Western Europe the scale of the acceptable universal design style is dwarfed by any one design concept. 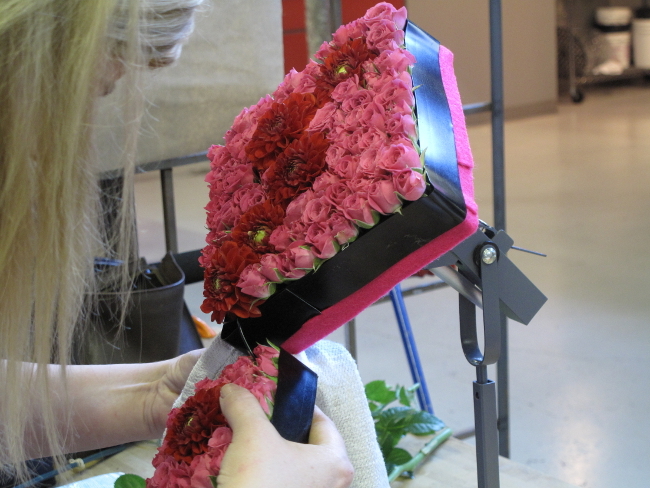 The universal cooperation and coordination of standardized guidelines for approaching the education process of the floral designer and the consumer would benefit all in the floral industry – worldwide. 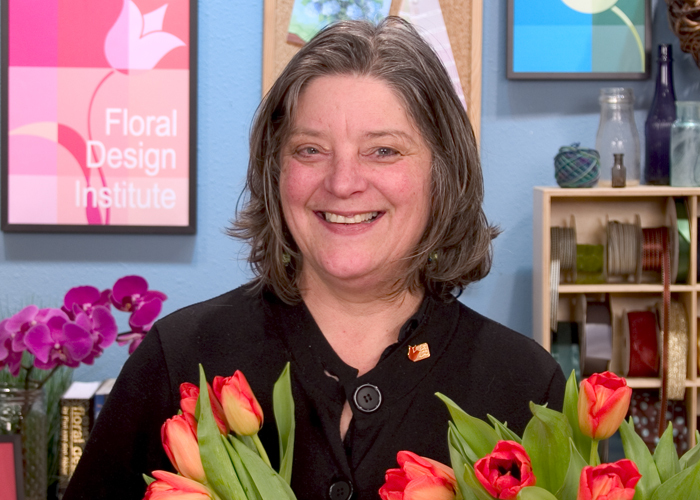 A cooperative effort by growers, wholesalers, event designers, retail flower shops, educators and publishers is the key to creating this phoenix of floristry (check out what Alison Bradley is doing with Floral Fundamentals). 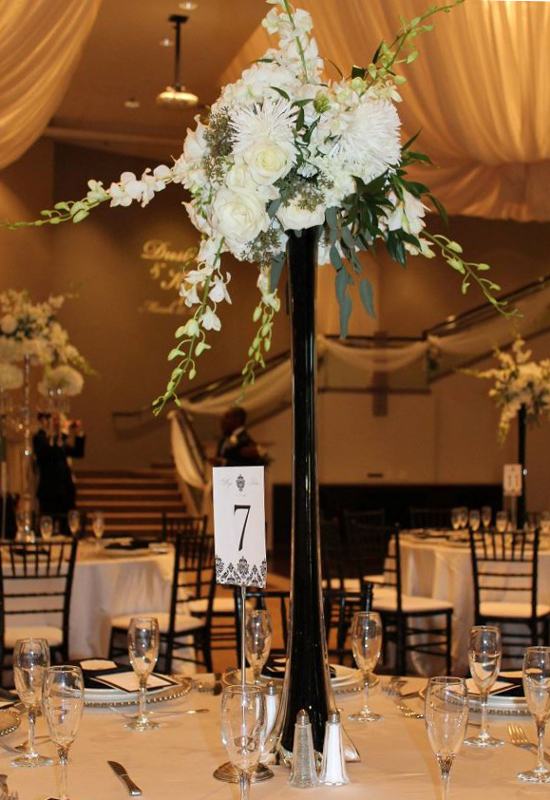 Without true national standards, this lowered expectational attitude of what we do has become the current face of U.S. floral design. 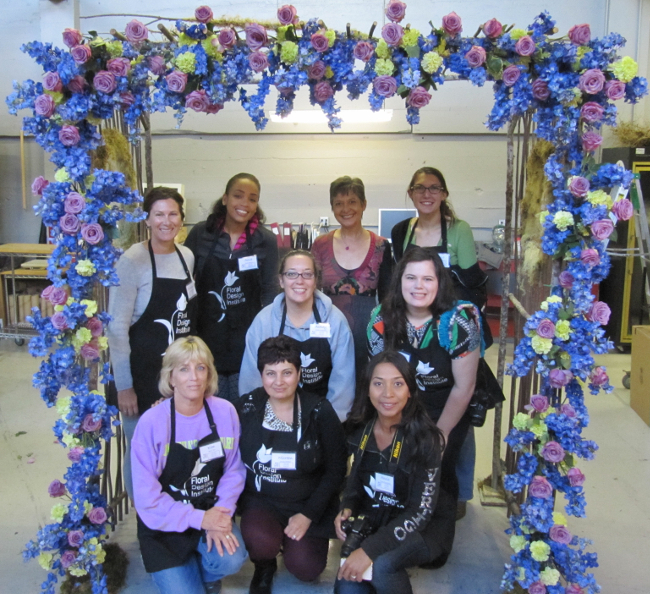 In the United States, the American Institute of Floral Designers has instituted a secondary program entitled CFD or Certified Floral Designer. It basically represents: a designer who has dedicated or re-dedicated themselves to improving the nature of their skills to a higher level. It is a wonderful altruistic goal but as a non-profit organization AIFD is limited in it’s marketing efforts for this unity of knowledge and spirit of design. 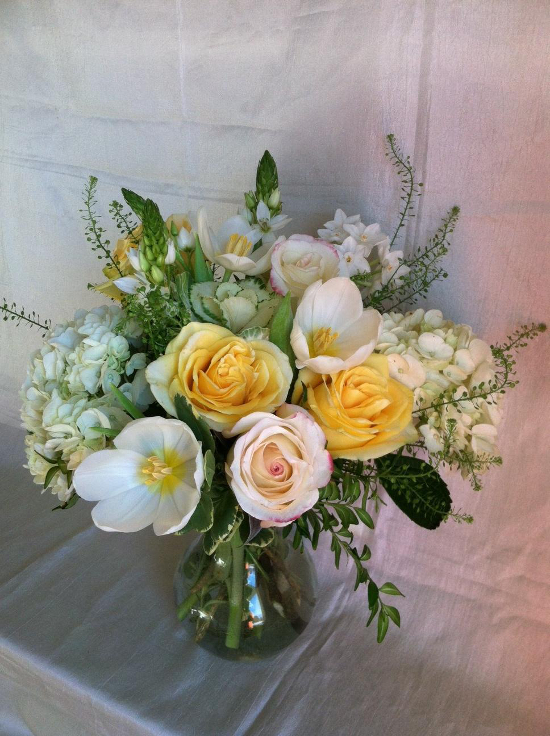 There are few agencies that are financially able to actually market flowers. We are in a constant state of reaction – hence the never-ending negative flower ads at holidays. It is only SAF that has any ability to nationally stand up for our industry. Even then – most do not even listen. 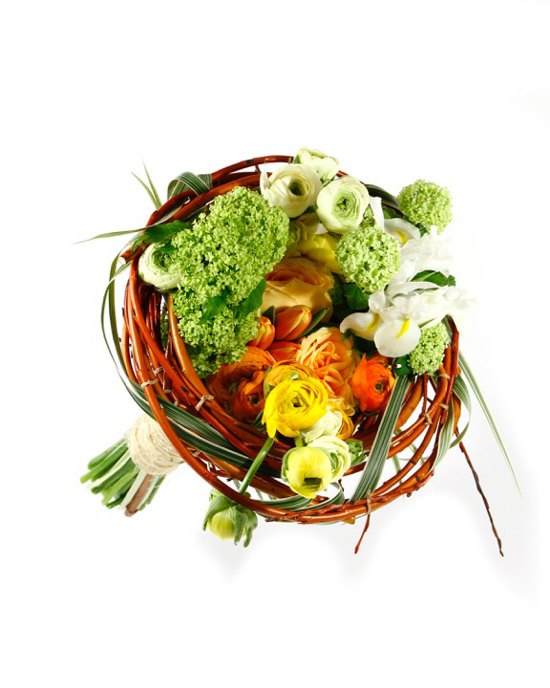 The ever-evolving, social media marketplace is the future of most industries – the floral industry is no exception. 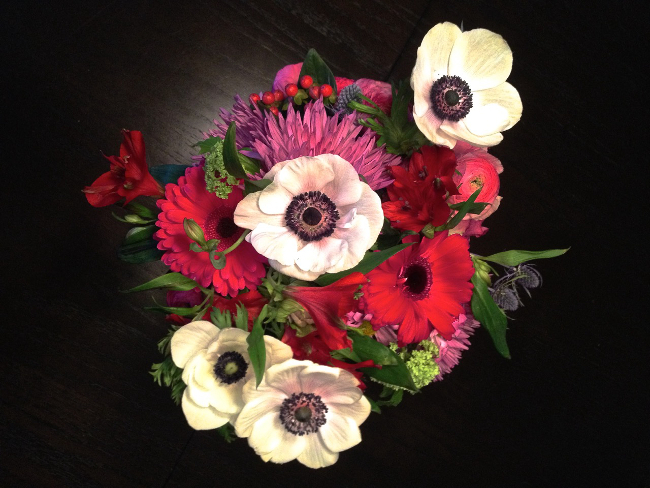 How often does posting a picture of a floral design on today’s social media offerings evoke a “WOW”, “GREAT”, BEAUTIFUL” – Too often! Encouragement is a necessary equation in the education process. Arbitrarily praising every posted floral design will never offer any positive critical analysis of a designer’s work (there are a couple of Facebook Groups that encourage qualified commentary). The advocacy of these postings needs to be stopped by industry peers. It only provokes similar postings; which is being seen by more and more potential consumers. In this YouTube, Vine, Vimeo world: Principles and Elements often take a backseat to quick designs as a substitution for informed education. It is the epitome of the American mentality – Convenience. Social media perceptions can be manipulated through industry saturation of well-designed, properly photographed commercial designs by industry leaders. Facebook, Instagram, Twitter, etc. 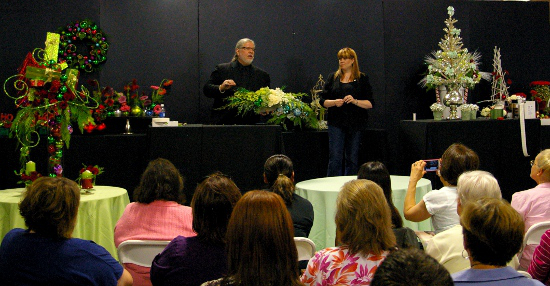 need to be a part of the daily education of floral designers in spreading the word of good floral design. There are many individual designers and shops that are already doing it. 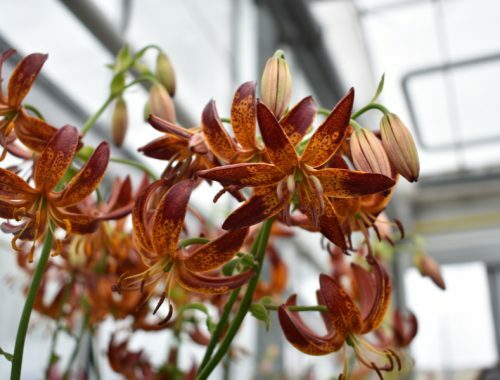 The balance of the industry needs to adapt these accomplished methods into their own strategy if the wish is to educate the consumer on the value of flowers. 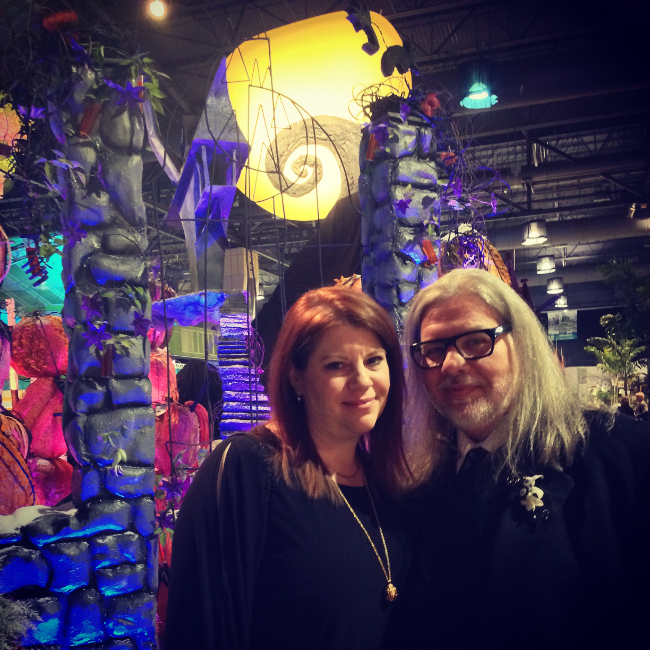 Thank you Bill and Kris for always inspiring the industry and always keeping us on our toes with amazing design and trend. We look forward to the upcoming trends and also all the amazing projects that the SCHAFFER DESIGNS team will be coming up with in the future. 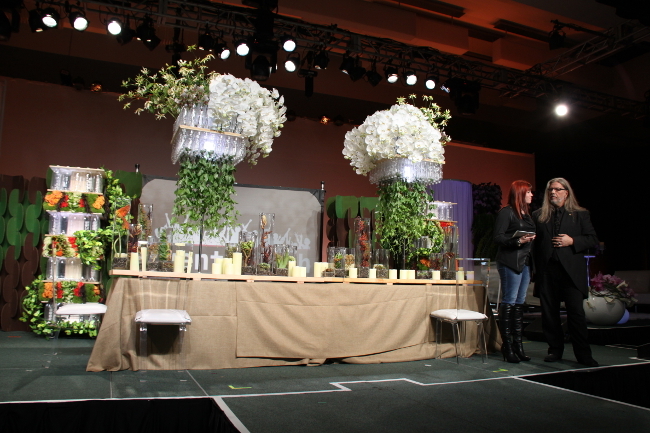 Theresa Colucci AIFD, PFCI is one of those unique floral educators that put not only time into educating the future of our industry but also her time into building her successful floral business Meadowscent! 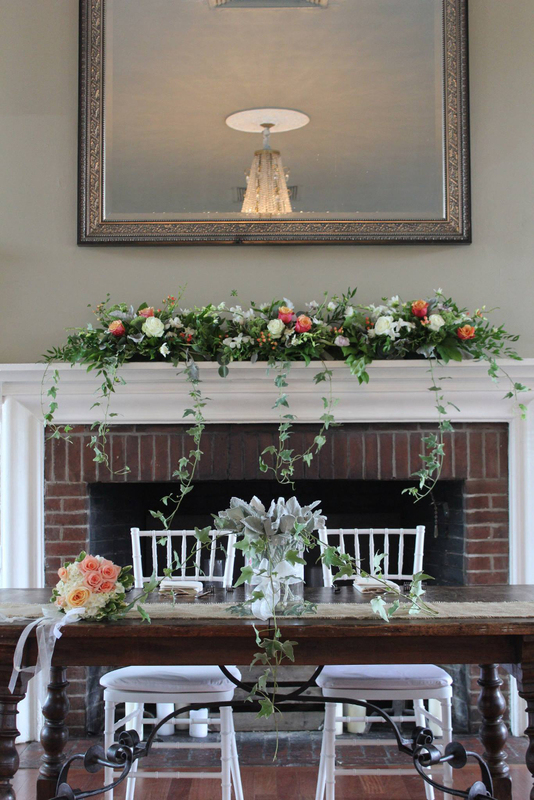 Throughout all of it though Theresa has faced the saddening decline of collegiate floral design programs going from teaching floral design at the State University of N.Y. At Cobleskill and at the NY botanical gardens to becoming the SAIFD Advisor to the rural Upstate, New York school. 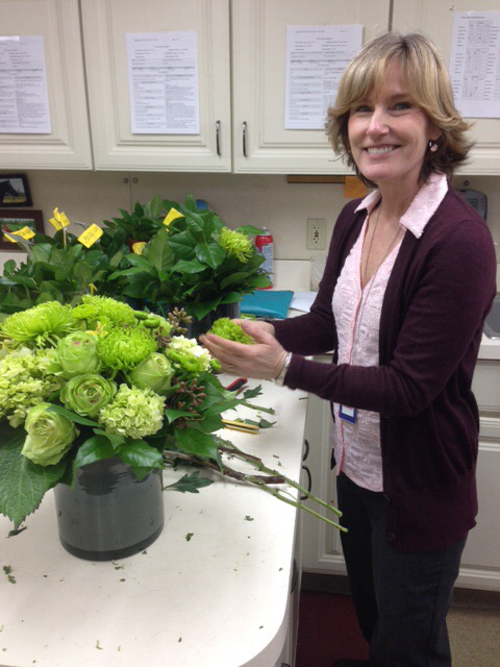 As a SAIFD Advisor, Theresa still inspires future floral designers and growth in the industry. 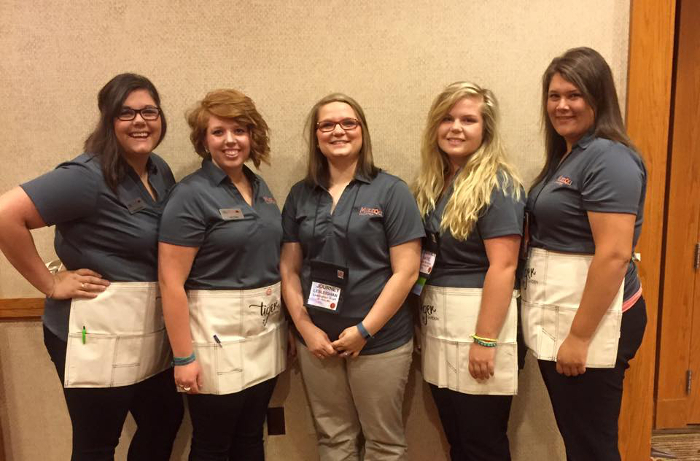 What advantages do feel SAIFD chapters provide that normal college programs do not? Having the support of AIFD provides us with many educational and industry opportunities. 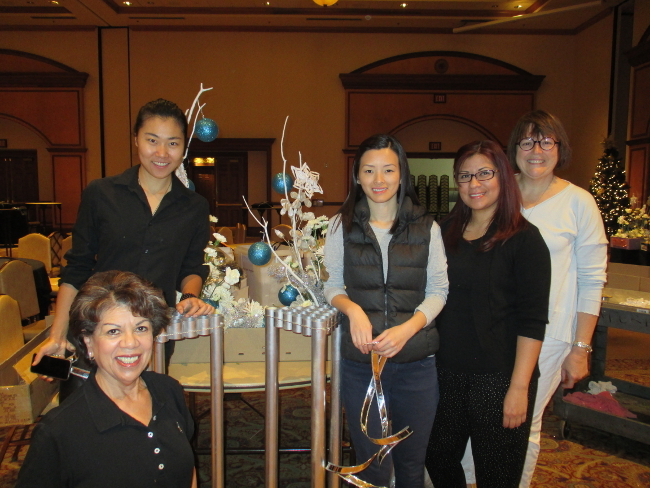 We host guest AIFD designers to work with students for our Artist in Residence program, our students attend National symposium to compete with other SAIFD colleges and take advantage of our educational shows. This symposium also provides the students the opportunity to work side by side with world renown designers on designs for their programs. What struggles have you found university and college programs have faced in recent years? 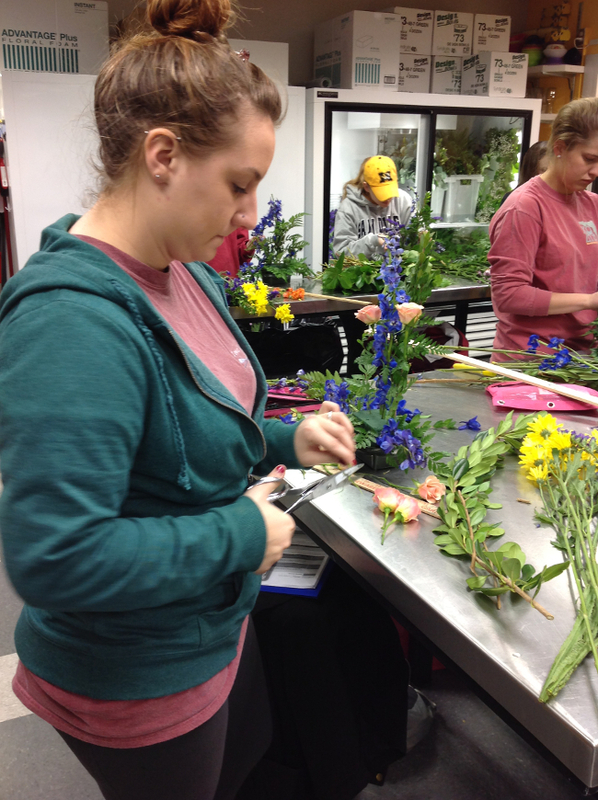 The number of students interested in floral design has declined, therefore making it difficult for the colleges to continue their programs. 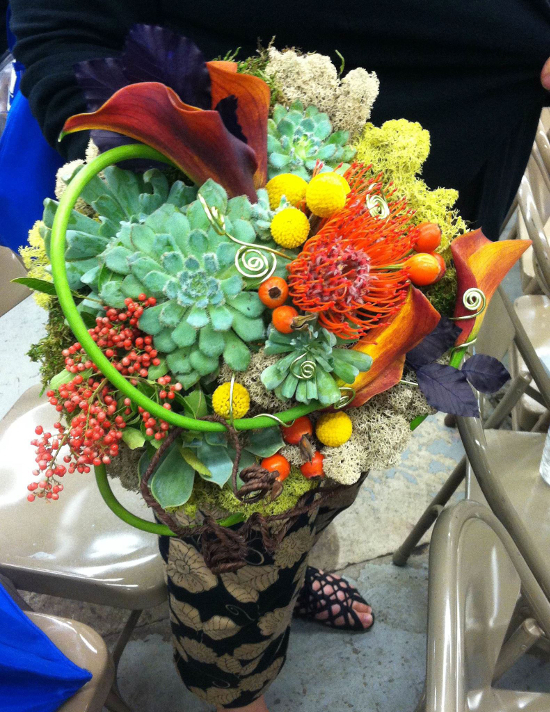 I think the industry needs to support floral education programs as best they can. 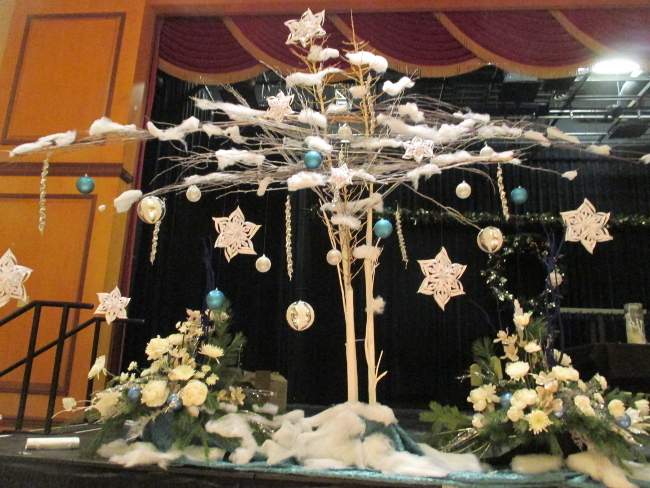 There is a lapse in age of people taking on floral design careers. 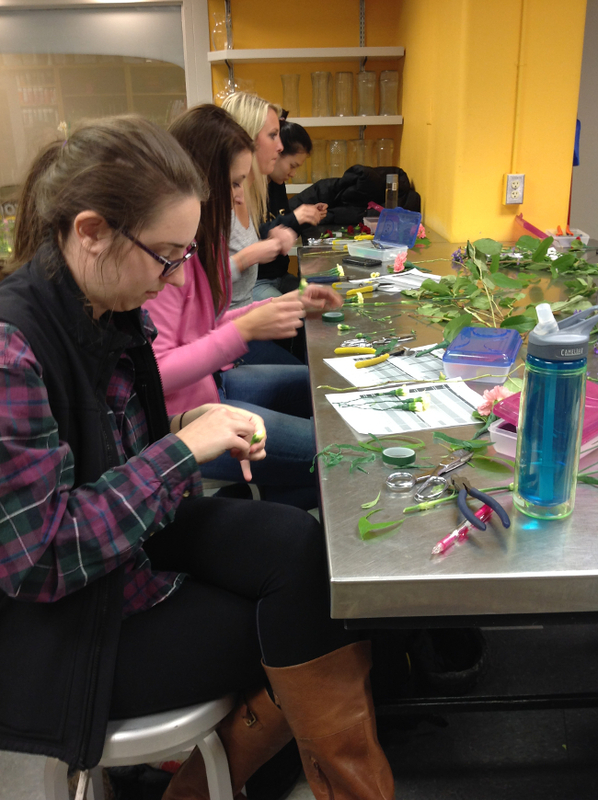 We need to invest in our college students as well as current florists furthering their careers, in order to keep our industry alive. 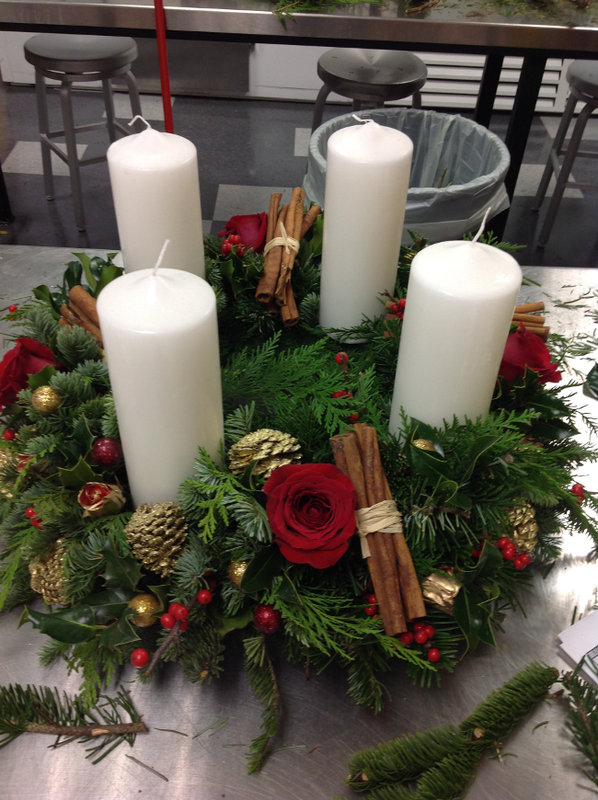 Education is the best way to help floral design flourish. 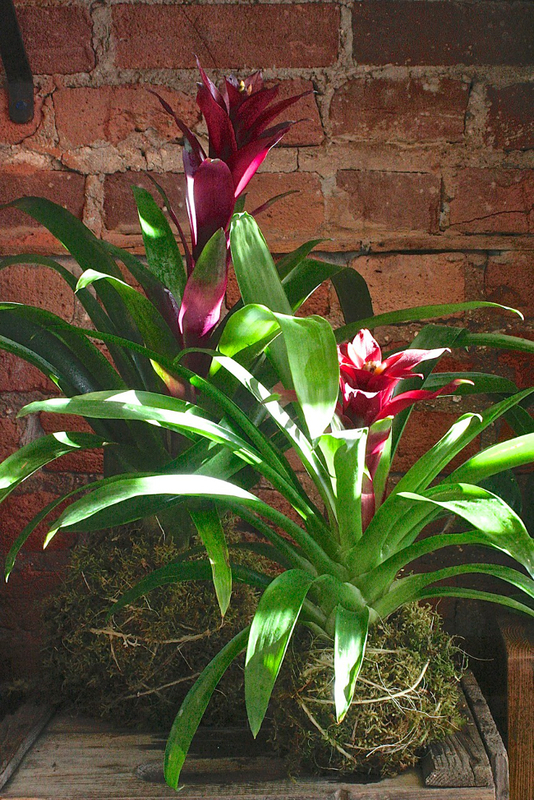 Because working with flowers is appealing to many, we often see people opening flower shops that have no real design skills or business skills for the floral industry. I find it most interesting to teach industry business skills to this group. If the desire to design is there, you won’t stay in business very long if you can’t turn a profit. 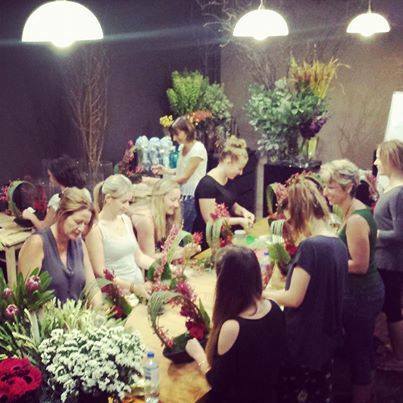 Teaching these skills are a vital part of keeping our retail florists in business and creating opportunities for floral entrepreneurs. 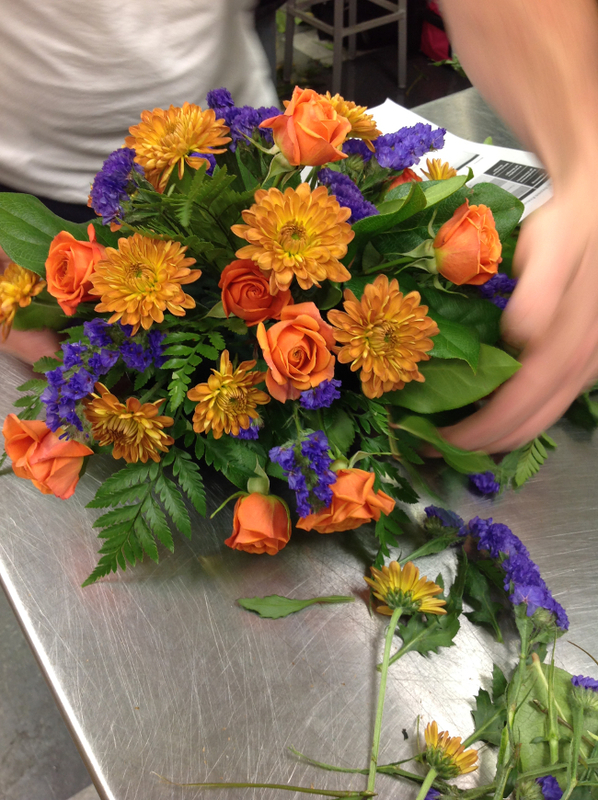 As a past instructor of State University of N.Y. At Cobleskill, what did you find to be the most challenging part of running a floral program? It’s difficult to run a program with a very tight budget. 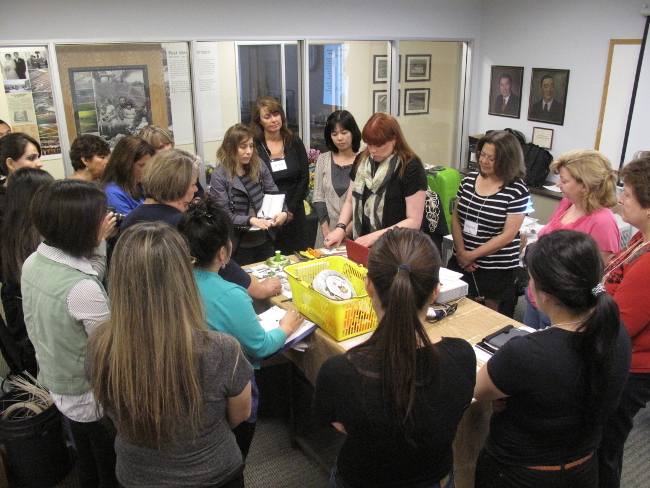 In order to keep floral design relevant, you need to show the students new products in our market. These can be costly and often impossible for most programs to afford. This would be an area that the industry could lend support to. Manufacturers, growers and wholesalers would benefit to have their products being used by students who are the future of our industry. Exposure to the floral industry globally. Whenever I have the chance I let the student see how large our industry is and that it goes beyond a mom and pop shop in your hometown. 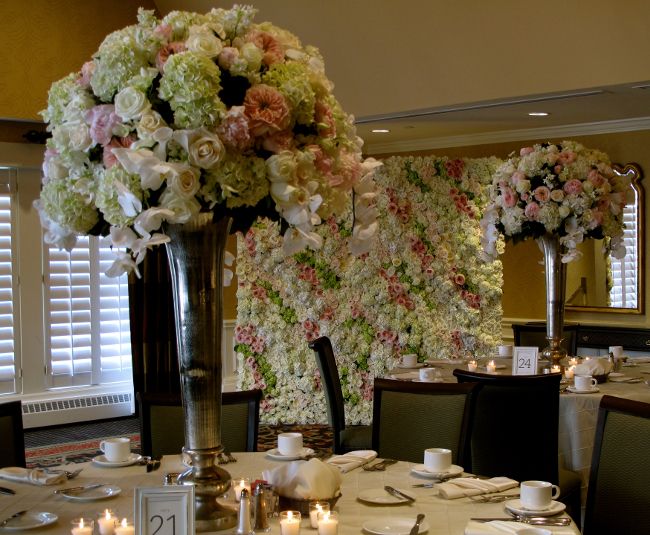 Exploring all facets of the floral industry worldwide creates an excitement and possibilities for them to find careers. Sadly, I think consumers have lost a lot of faith in Florists. 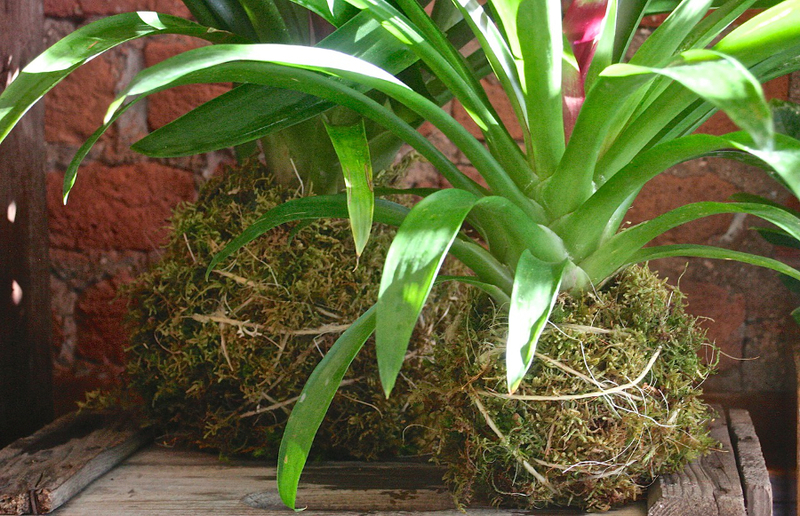 Order gatherers and wire services have promised the consumers more than the retail florist can deliver and as a result our consumers have been dissatisfied. 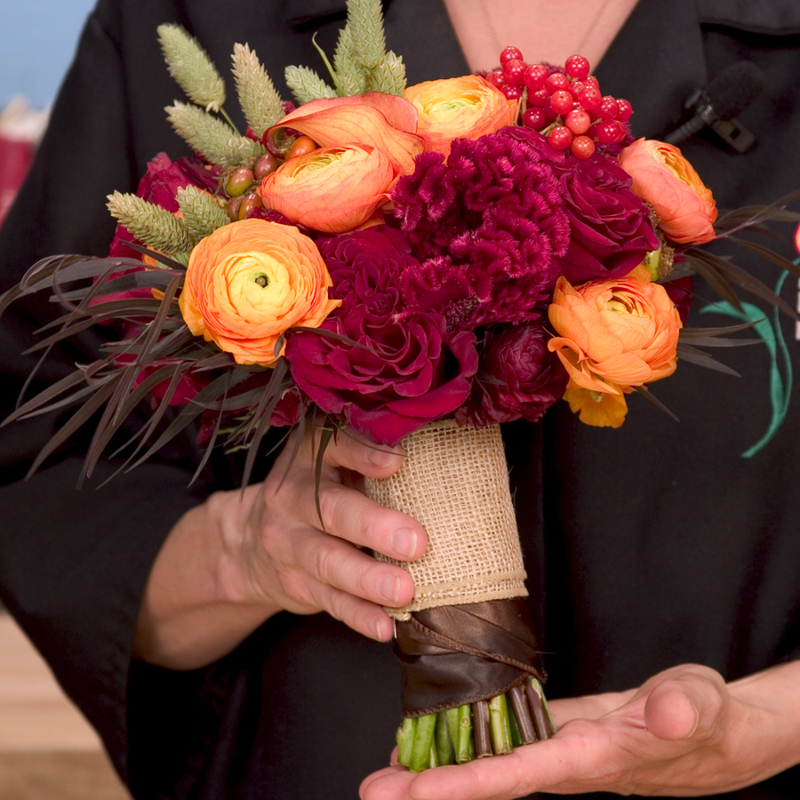 Retail florists need to do everything they can to provide quality customer service with excellent product in order to regain the consumers trust. It may not be an easy task, but it needs to be done on every order and every customer that chooses to do business with you. 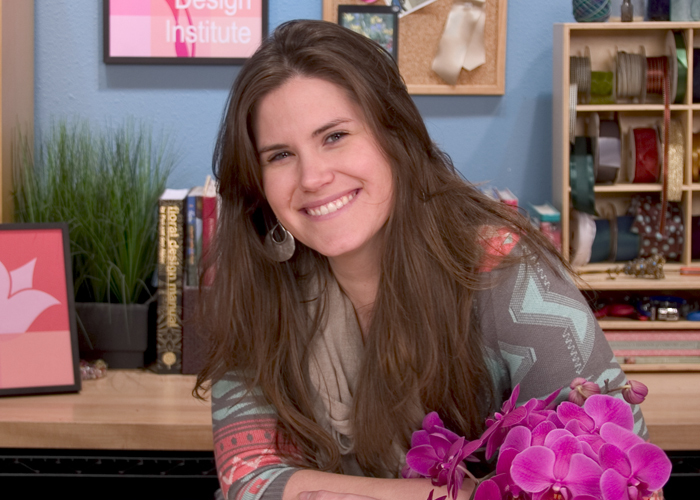 What advice do you have for designers looking to become floral educators or presenters? Continually educating yourself should be your priority. Advance your career to AIFD, and PFCI. 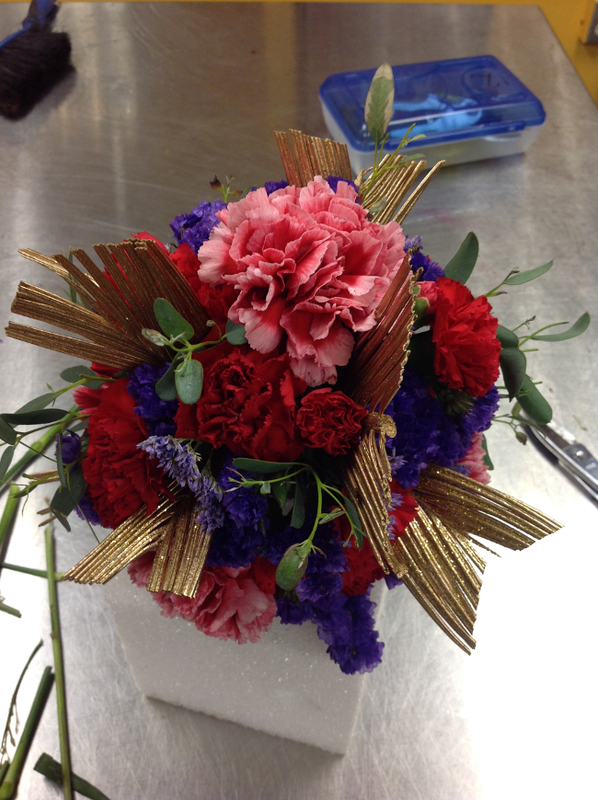 Become a member of the Society of American Florists. Take classes from other designers. 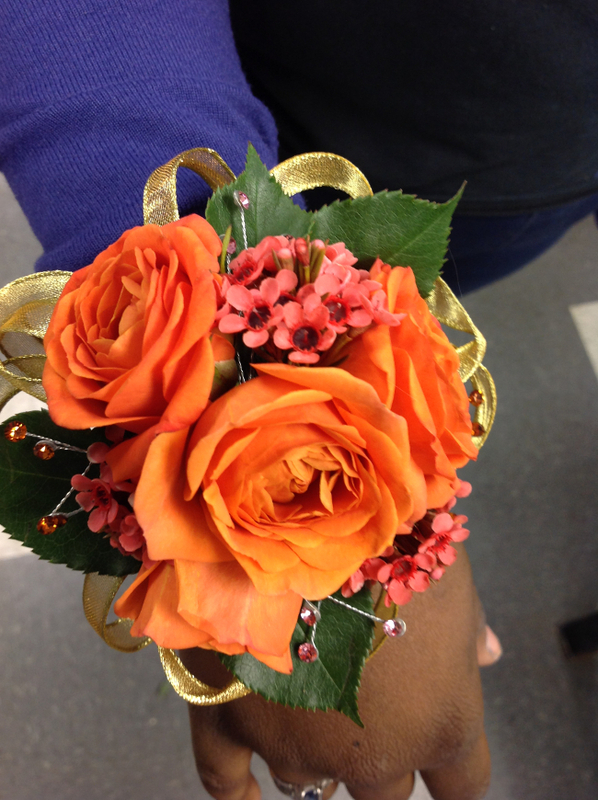 Travel to other countries to experience cultural differences with flowers.. The educational opportunities are endless. Experience them and share them with others! 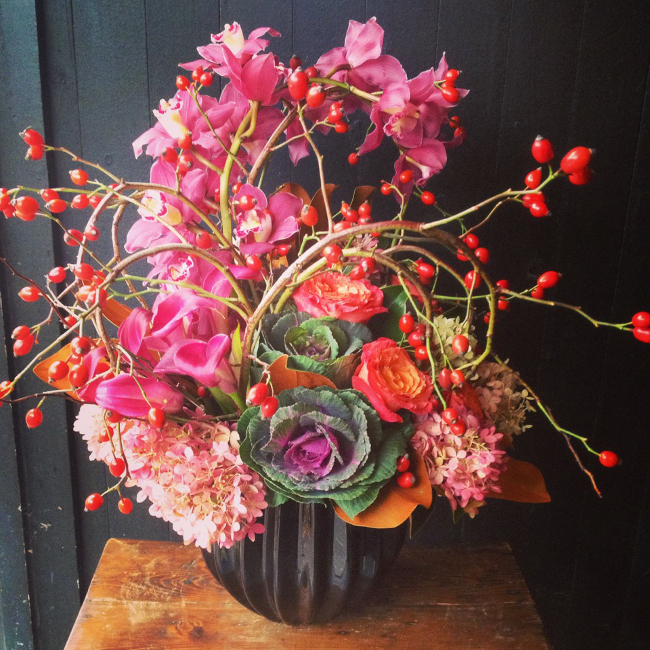 I truly believe in The American Institute of Floral Designers. 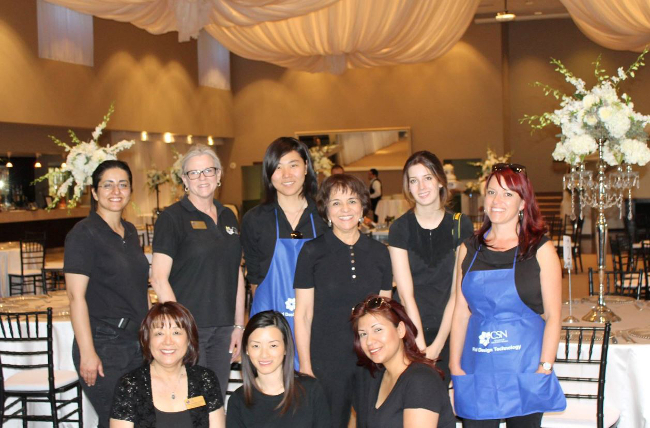 They are dedicated to the advancement of floral education to the individual, the student, the public and the industry. I believe the standards they uphold continually cause designers to strive to be some of the best designers in the world. 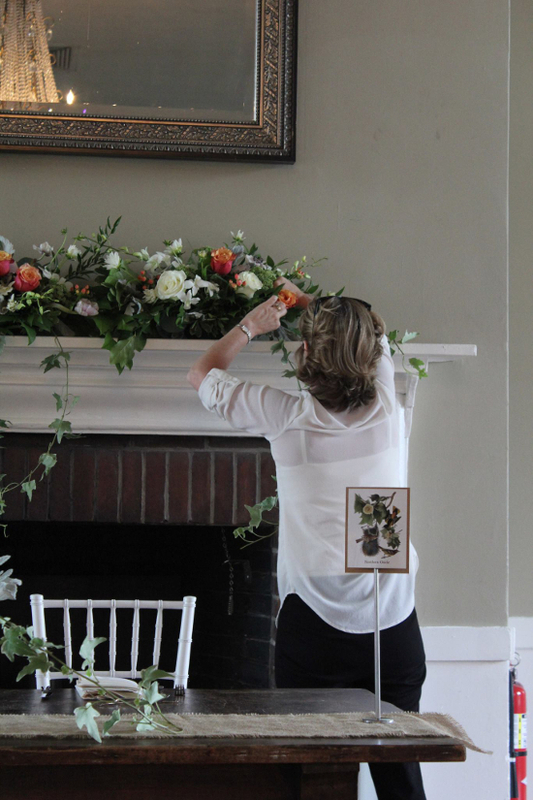 With your extensive floral education knowledge, along with your AIFD and PFCI accreditations, where would you like to take your experience and skill to further educate the industry? Flowers and nature should be a part of everyone’s lives. We, as florist’s know it. 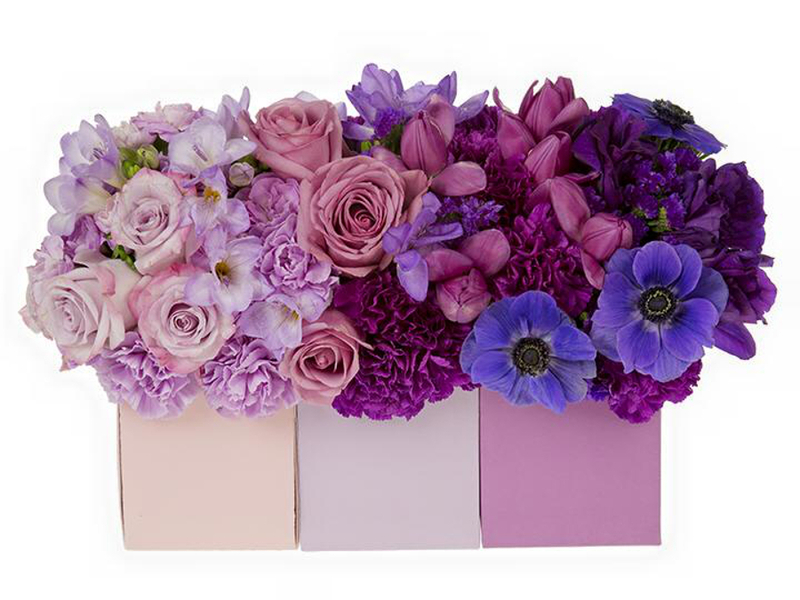 Dozens of studies have documented the benefits of flowers in our lives. European and Asian cultures understand it. I want the United States to grasp it. 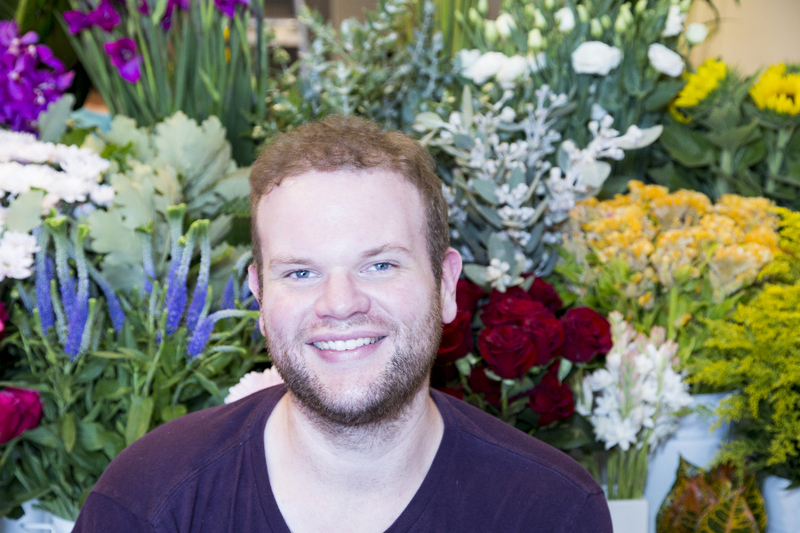 I hope that by educating with my enthusiasm for the industry, it will trickle down from growers to retail florists and students to the consumer and we will become a nation of flower buyers! 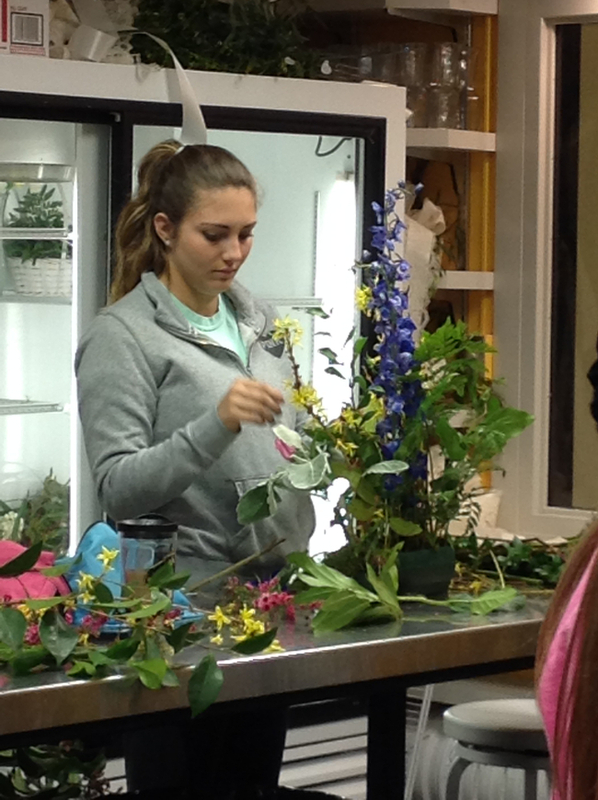 Thank you to Theresa for sharing with us her passion and thoughts on Floral Education. Best of luck to her and her SAIFD Chapter with it’s endeavors this year and in the future. 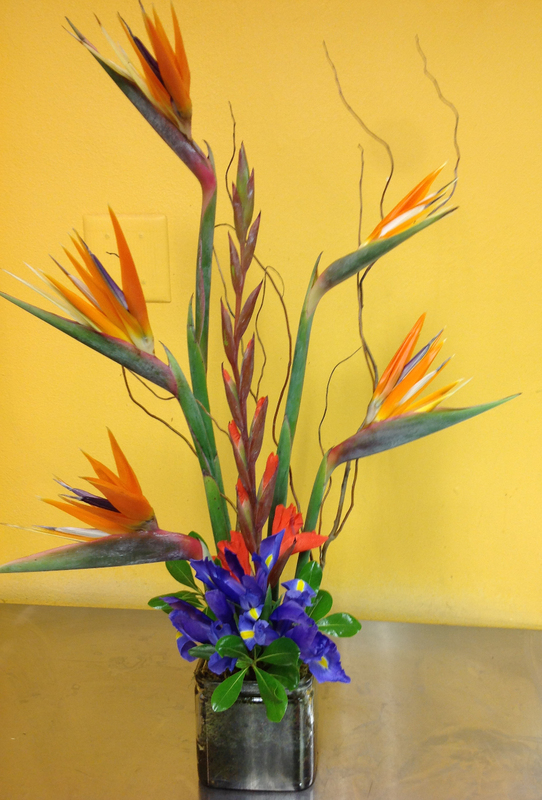 As we finish up Floral Education Month, make sure to share with Floral.today what you enjoyed the most!